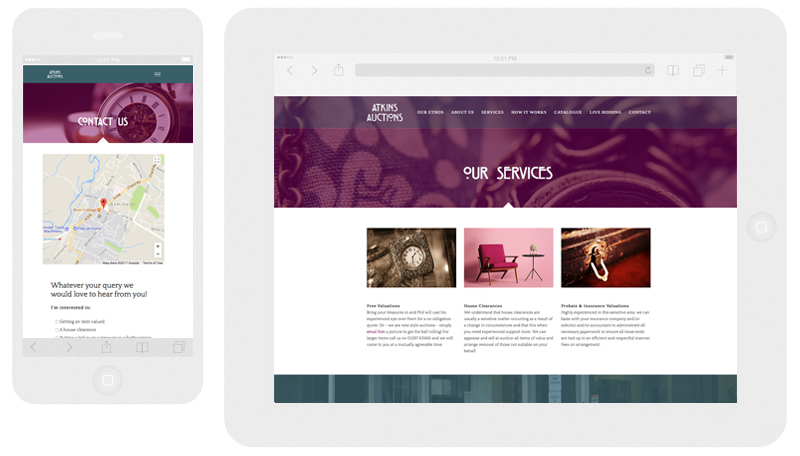 We have just completed a design and development project for Atkins Auctions who are based in Devon in the UK. The brief was a clean modern site design that incorporated a “touch of retro and also be gorgeous”. The website had to stand out from their competitors websites and definately not have an old fuddy duddy look thats associated with auction houses. 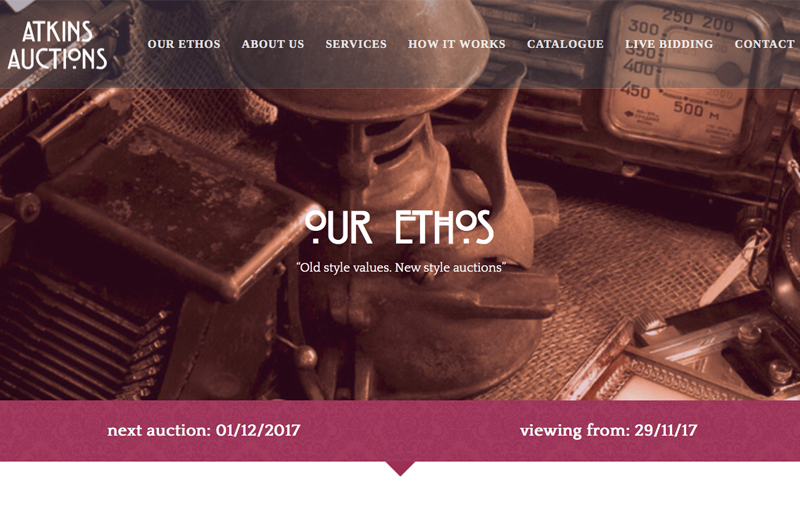 The launch of the website coincided with the launch of the physical auction house and both received a fantastic response from the public and an amazing outcome for their first ever auction.